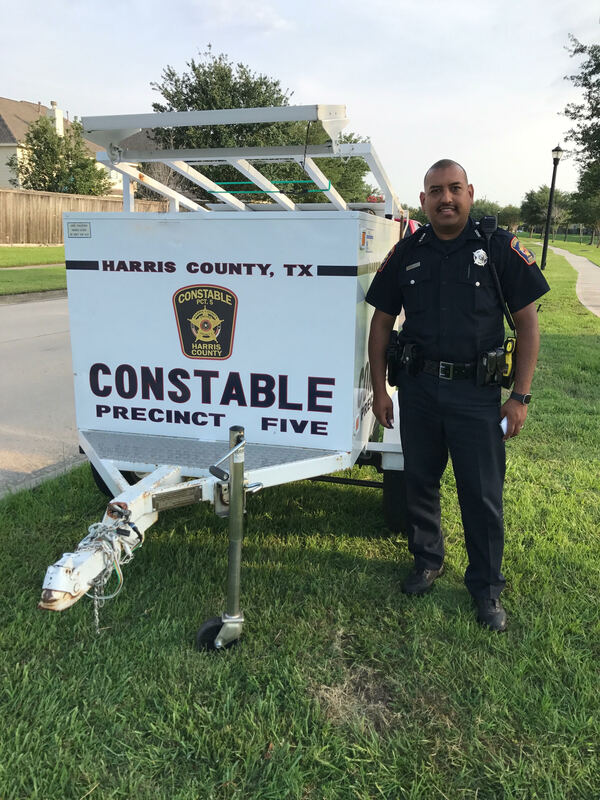 All sections of Cypress Creek Lakes community have law enforcement services through a contract with Constable Precinct 5 for full time law enforcement protection. Cypress Creek Lakes are served by two Municipal Utility Districts, MUD 374 and MUD 433. The two MUDs share equally in the cost for the contracted constable services. Residents are encouraged to participate in the vacation watch program. If you have a concern that merits law enforcement services call (281) 463-6666 the dispatch number for Precinct 5. You may call 911 but they will transfer the call to Precinct 5. From time to time the Constable provides training in personal safety in the community as well as other areas where they provide services. If you are interested in knowing more about the services of the Constable office please call (281) 463-6666. Click the below link for information on submitting a Vacation Watch. If you prefer you may call the Constable’s Communication Division at (281) 463-6666 and have a deputy dispatched to your residence to take the request in person. Before leaving remember to check all doors and windows to make sure they are locked. If you decide to lock the gates to your backyard, consider providing information to deputies that would allow them access, i.e. lock combination or location of key. For extended periods away from your residence Precinct 5 recommends stopping your mail, or asking a neighbor to collect it for you while you are gone.